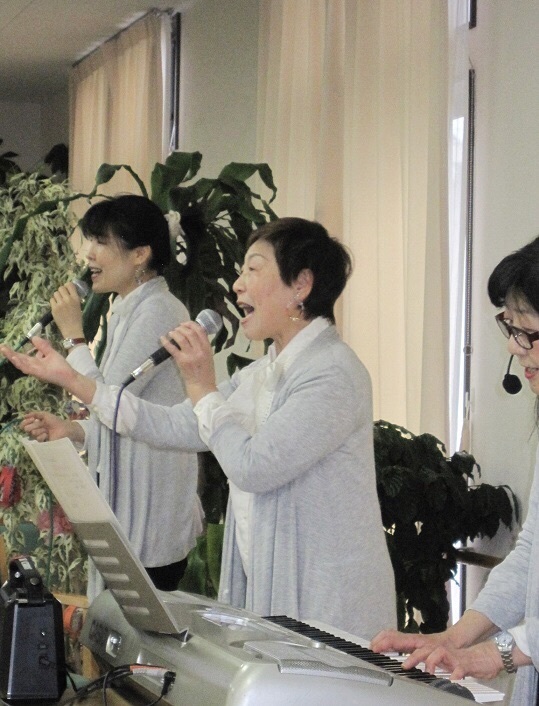 On Saturday, 17 March from 2pm, Fuji praise band held an hour concert at an elderly day care facility in Numazu city. This is the place that they visit 3 to 4 times a year regulary. With audience who was looking forward to them, the band sang 11 songs mixed with folk songs started with “God is Love”. People’s reaction for “Boukyou” and “watashi wa aisareteiru” was very good. They commented, “nice songs”. 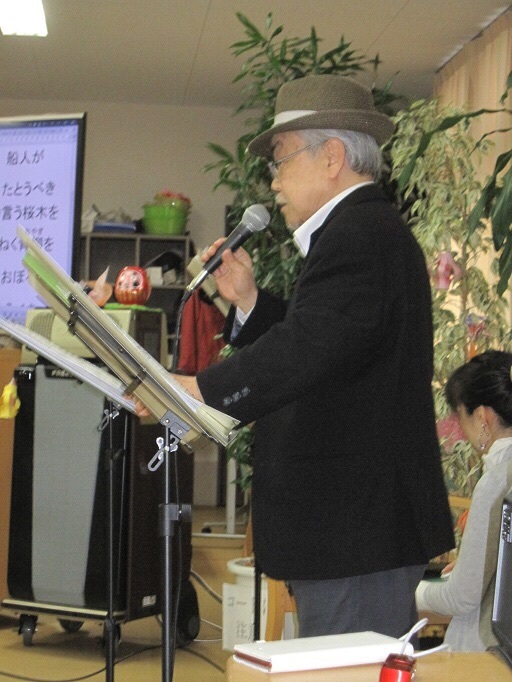 The audience remembered “Ookina ai” and sang it together. 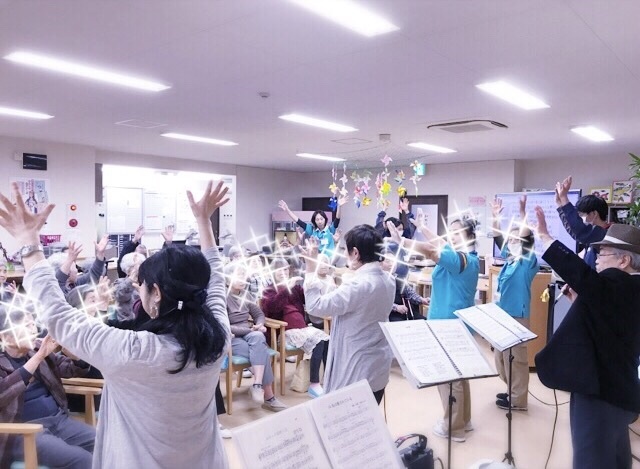 When the band danced gospel dance, sraffs also danced together and commented, “It was fun”, “Please come again”. Staffs said, “I always feel so peaceful when I listen to the lyrics” The band has got next appointment to visit on June. We give thanks to the Lord who worked.